Includes bearing and tool kit. 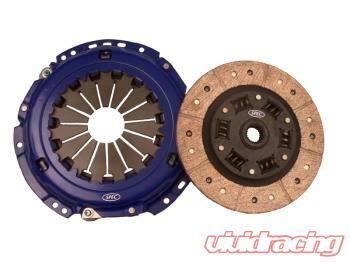 (application dependent) These units fit the oem dual mass flywheel with the 220mm Luk style cover. These kits bolt to the stock dual mass flywheel. The SV21A and SV21S are for use with Spec high clamp VR6 units as a 9in upgrade from the oe 8.75 for all VW 1.8T cars. The SV21A weighs 7.5 lbs and SV21S weighs 12.5 lbs. A stock dual mass is also available for an extra $150 over the clutch cost.